Build you own rail empire by acquiring existing railroad companies. Fund your acquisitions by delivering freight across the country. The player who builds the most effective empire and accumulates the most wealth will win the game. 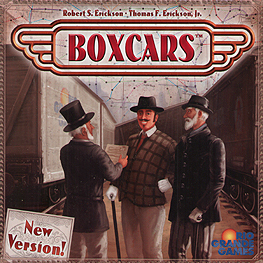 Play on a new version of the original US Boxcars mapboard or the new mapboard of England, Scotland, and Wales.